We often think of it as an HR issue, but if you’re in a leadership position, employee engagement is something you need to be taking seriously. Why? Because employees who aren’t engaged are employees who aren’t likely to stick around. 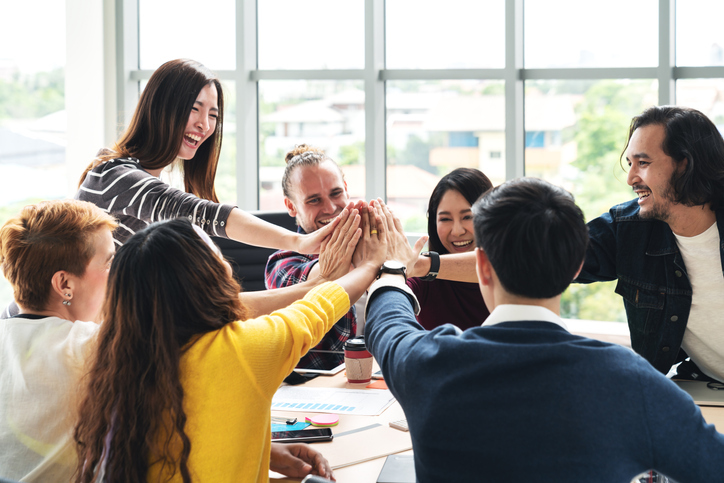 If you want to avoid replacing your workforce, instead creating a team that’s so inspired its members want to bring others on board, it’s smart to look at the top five ways to boost employee engagement. Purposefully craft your corporate culture. Cultivate a culture with a clear purpose and identity, in which employees can feel that their work has meaning and they’re contributing to something that matters. Offer opportunities for feedback and the presentation of new ideas, and show employees that you value what they have to offer. Connect from the top down. If you want a workforce that shows up for more than just a paycheck, it’s up to those in leadership to model the kind of connection that makes work meaningful. Establish a rapport, getting to know your employees, and consider crafting an employee engagement program with one-on-one mentoring and active communication. Encourage employee interaction, too, using social events and social media to help your team members connect with one another. Play to your employee’s strengths. One of the simplest ways to engage employees is to give them the freedom and opportunity to show off the strengths they feel are being underutilized. Talk to them about their goals and skills in a meaningful way, and celebrate their successes. When you capitalize on your employees’ natural abilities, you make engagement an organic process, and the work environment becomes more conducive to creativity and innovation. Learn what makes your team tick. Design listening strategies that help you get to know your employees, whether that means focus groups, one-on-one meetings, or group brainstorming sessions. Be transparent, and let employees know that you really want to know their interests, passions, and goals, both personal and professional. Provide opportunities for growth and development. Once you know your team’s driving motivations, you can help them pursue their goals and hone their skills. Find ways to develop not just business skills, but also soft skills like emotional intelligence, and use every resource at your disposal, from coaching and mentoring to corporate training sessions, to help your employees learn and grow. One way to help employees learn, grow, and connect is with off-site team training exercises and a big part of making that a success is finding the right site. At Texas Training and Conference Centers, we pride ourselves on offering training facilities that feature the technology and tools to facilitate learning, with high-quality equipment and exceptional service. Our computer labs and other spaces come equipped with internet accessibility, printers and fax machines, Wi-Fi setup, on-site tech support, full projection systems, workstations, whiteboards, and computers furnished with the most cutting edge technology, to ensure that your training event is a success. Soundproof rooms, continental breakfast, and optional catered lunches are just a few of the other ways we provide the little niceties that make a big difference for your event. For the past 18 years, we’ve provided exceptional service to businesses throughout Houston, and we have the expertise to help you make your event a success. To learn more about Texas Training and Conference Centers, call us at 832.982.1708 or contact us through our website.